This Sundays double bill is a JOHN CASSAVETES special. First up SHADOWS a film I was originally going to show during black history month but couldn't fit into the program, his directorial debut became one of the most important and influential films of its time and went on to influence a generation of filmmakers working within the realms of neorealism. This story of an African-American family in fifties America where the colour of your skin within your immediate family was changed how you where viewed inside and outside the of the family unit. Not just looking at racial problem but the human condition as a whole. 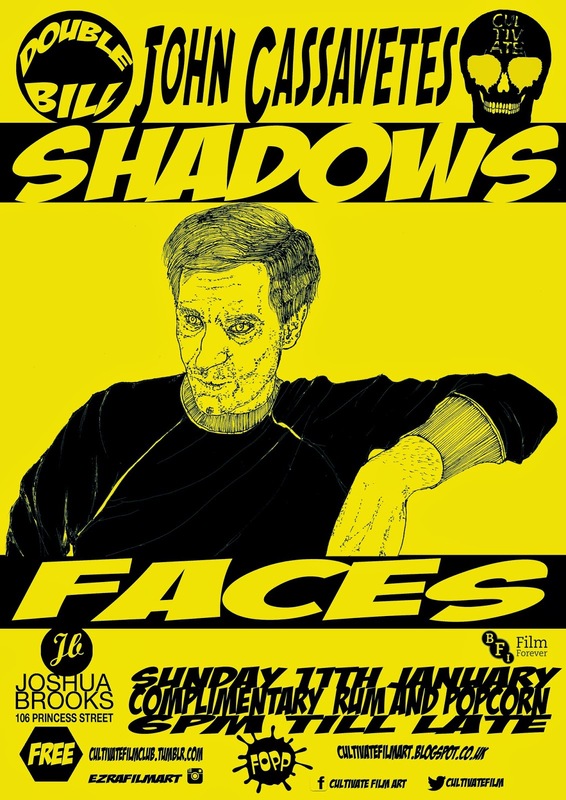 Followed by FACES an exploration into the disintegration of a relationship and a glimpse into the world of the swingers culture, a very middle class pass time. Two must see films with the usual free popcorn and rum.